If you are driving on the road and your brakes fail you put yourself and other people at serious risk of injury. The key to avoiding brake failure is to know what signs of brake wear to look for and when you should have your brakes replaced. In most cases, simple brake problems can be fixed at a very low cost to you. However, if you fail to get them checked or ignore the brake wear warnings, a simple brake job can turn into a very expensive problem. If you live or work in the Conroe and Spring, Texas areas we can handle all your brake repair service needs! How often should I inspect and change the brakes on my vehicle? the type of driver that you are. the type of driving that you do. the type of vehicle that you have. the type of terrain that you drive across. Another factor that is often times overlooked is the quality of the brake parts that were used the last time your brakes were serviced. If you live in the North Houston area, chances are you do a lot of stop and go driving which can cause your brakes to wear down more quickly then if you do a lot of highway driving. Given all of these factors, it is very hard to set a time/mileage interval as to when your brakes should be serviced or replaced. That being said, there are certain things that can be done to ensure your brakes are in proper working order. Due to the safety impact of a properly working brake system, it is something that cannot be overlooked. Below is a short list of tips in order to ensure the safety of your brake system on your vehicle. 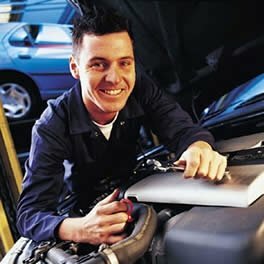 Have your vehicle inspected regularly. 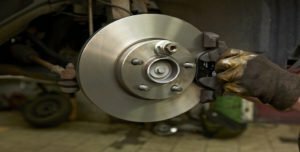 The best way to ensure that your brakes are in proper working order is to have them inspected while your vehicle is in the shop getting other maintenance performed. All-Out Diesel &Transmission performs a free brake inspection on every vehicle that comes through our doors to ensure our customers safety while driving their vehicles. Pay attention to your vehicle. Do not ignore strange noises. If you hear a noise coming from your vehicle, especially when braking, bring your vehicle in asap and have us inspect it. Noises that are not addressed in a timely manner can often times lead to higher repair bills so it is in your best interest to have your vehicle inspected when they arise. Also, pay attention to how your brakes feel while you are driving. If while braking you feel a shaking or pulse in the brake pedal it means that something is wrong with the system and should be inspected immediately. Don’t ignore brake warning lights. This one is pretty self explanatory but a brake warning light can mean anything from low brake fluid to a fault in the ABS antilock brake system. Do not confuse a brake warning light with the parking brake light, as the two are separate. By following these simple steps you can help to make sure that your brake system is operating the way it was intended. Don’t just take your vehicle to any brake repair shop in Conroe or Spring, Texas! Your brakes are too important to trust to just any mechanic. 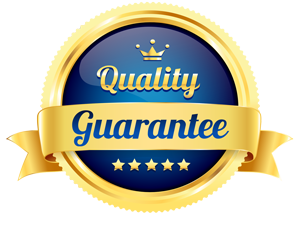 At All -Out Diesel &Transmission we have built our reputation on providing quality work, using only top brake parts and providing superior service at a low cost. For a free brake repair estimate contact All -Out Diesel &Transmission at (936)273-3977 today.